A few weeks ago we received one of the most exciting toys the boys have ever had to review. Yep, a bold statement indeed, but this cute electronic Code-a-Pillar toy from Fisher-Price is, in my opinion, going to be THE pre-school learning toy that all children will want to have this year! 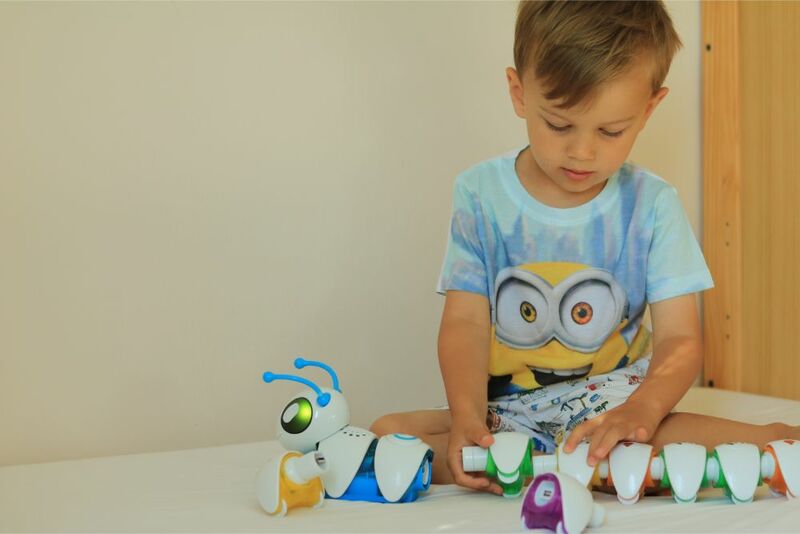 It's not just adorable to look at, it's not just fun to play with, it's also teaching children early skills to coding such as programming and problem solving. 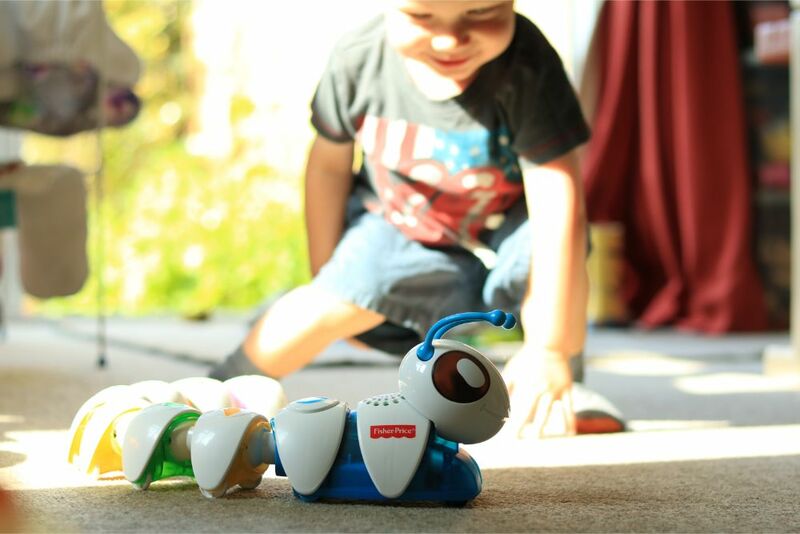 The Fisher-Price Code-a-Pillar is a chirpy, smiling caterpillar with lights, sounds, music and flashing eyes. It has eight segments that click together and each of the segments has a different function: go straight, turn left, turn right, and play sounds. Once the segments have been clicked together you press the button behind the Code-a-Pillar's head and it works through each of the functions in the order they've been connected. Basically, your child is coding! Depending on how the segments are put together, the Code-a-Pillar will move in a different way and there are expansion packs that can be bought separately with even more commands. If you press on the caterpillar's head, it responds to you using its chirpy code. The boys have so far been enjoying playing with the Code-a-Pillar as it is, but I am most definitely going to get some expansion packs once this toy is officially launched early August. 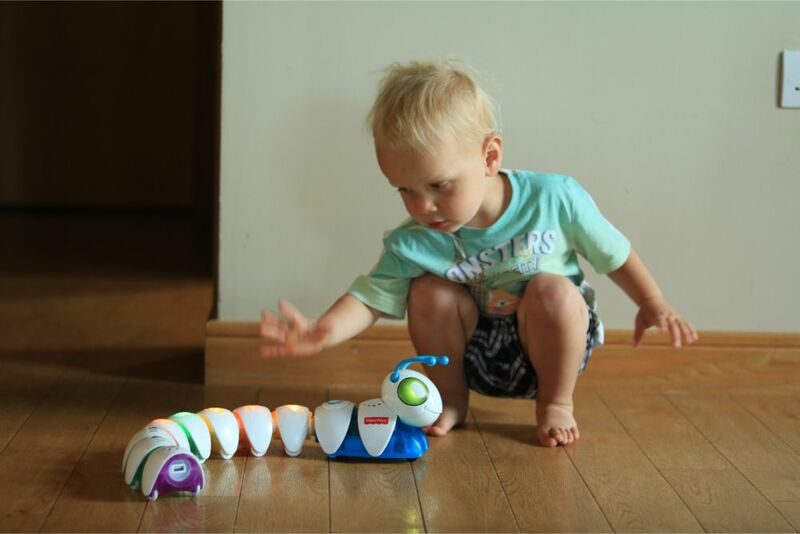 The Code-a-Pillar is aimed at children aged between 3-8 and helps develop skills like sequencing, critical thinking, reasoning, discovery, memory, problem solving and experimentation. J is nearly two and he enjoys simply putting the pieces together in any order and watching what the caterpillar does. Little N, who is going to be four in November, gives more consideration to what order he puts the segments together and tries to get the caterpillar to do certain things. I think as they get older and their understanding gets better, we could try to code the toy to navigate around obstacles or even spell out letters. It is so much fun, we have even brought it on holiday with us! 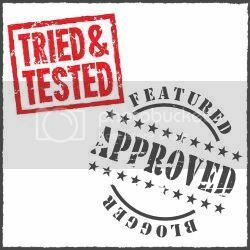 Stockists include Smyths Toys, Toys R Us, Argos and other good retailers.